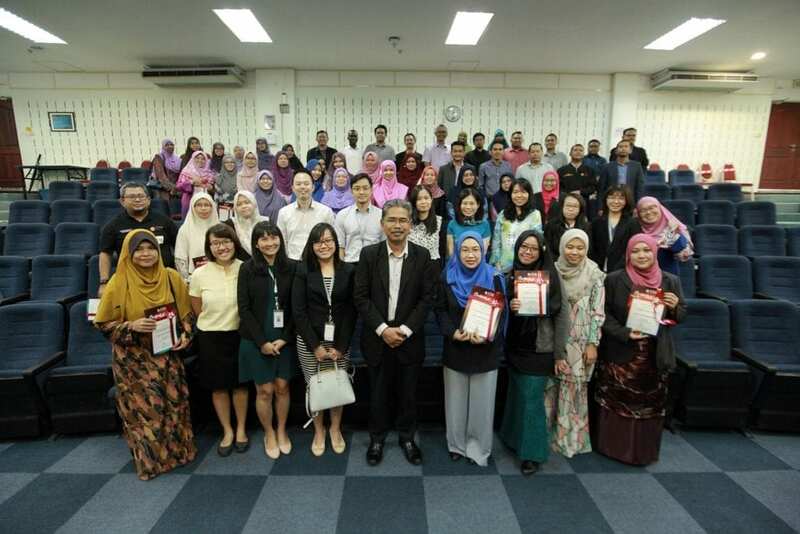 JOHOR BAHRU, 28 MAY 2018 – The UTM Academic Leadership Center (UTMLead) with Faculty of Education organized New Academia Learning Innovation (NALI) 2018 Symposium to further promote best practices and sharing of New Academia Learning Innovation implementation in higher education. It gathered 22 presenters including presenters from Indonesia and local teachers. There were also delegations from Sunway College Johor Bahru who attended the Symposium to participate. All the presented papers were published in online proceeding that can be downloaded from http://ctl.utm.my/nali2018. New Academia Learning Innovation was first ideated and written in the book titled New Academia in 2012 to document UTM’s committment towards forming new thinking, philosophy, and higher education framework through new pedagogy that can nurture students to be competitive at international level. From this mindset, UTM set to develop the New Academia Learning Innovation, NALI Framework that proposed the integration of technologies in innovative teaching and learning methods. This is explained in detail in the book A Guide to New Academia Learning Innovation published in 2017. NALI Symposium was a healthy discussion platform for academicians and teachers to exchange knowledge, practices and opinion on teaching and learning in higher education. NALI Symposium also marked the beginning of a series of NALI activities that will be held on 25th-26thSeptember 2018 which will include exhibition and competition and STEMazing Run and Race.